Shugyo on the South Coast has grown rapidly. With more than 100 members across all age groups, you will find a class for you. Kids start as young as 4 in the Secret Little Ninjas sessions, run immediately after school for parent’s convenience. There’s adult classes in the evening for beginners to experienced martial artists, and then there’s Brazilian Jiu Jitsu sessions, Fighting Fit or Little Ninjas. At Shugyo we leave the ego at the door and train in a safe and inclusive way, all helping each other to reach new levels using healthy competition and encouragement. 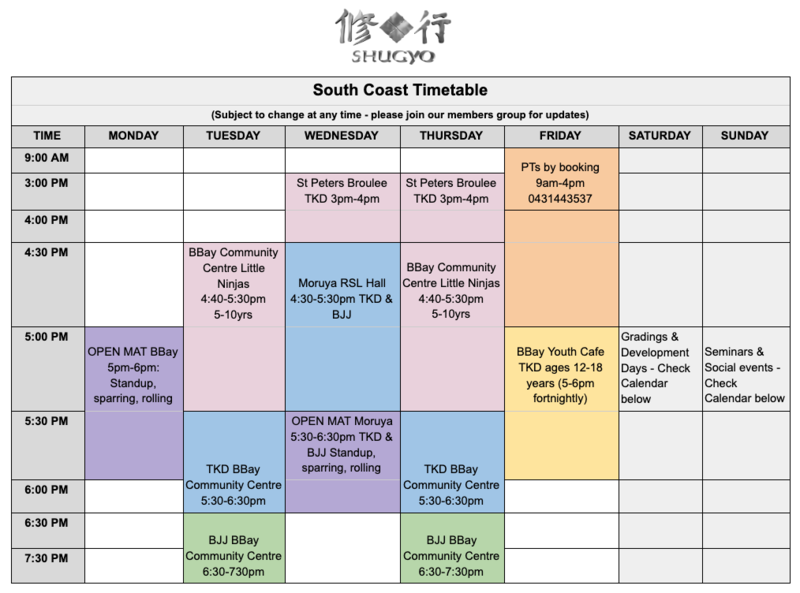 Students will learn from Chief Instructor Rory, the founder of Shugyo. With 3 decades experience in martial arts, the Military and Law Enforcement, you’ll receive some of the best tuition Shugyo has to offer. Eg: Family of 2 training 1 x session per week (or) Single person training twice per week. Eg: Family of 3 training 1 x session per week (or) Single person training 3 times per week. Eg: Family of 2 training 2 x sessions week (or) Single person training 4 times per week. Eg: Family of 3 using up to 5 sessions per week between them (or) Single person training 5 sessions per week.